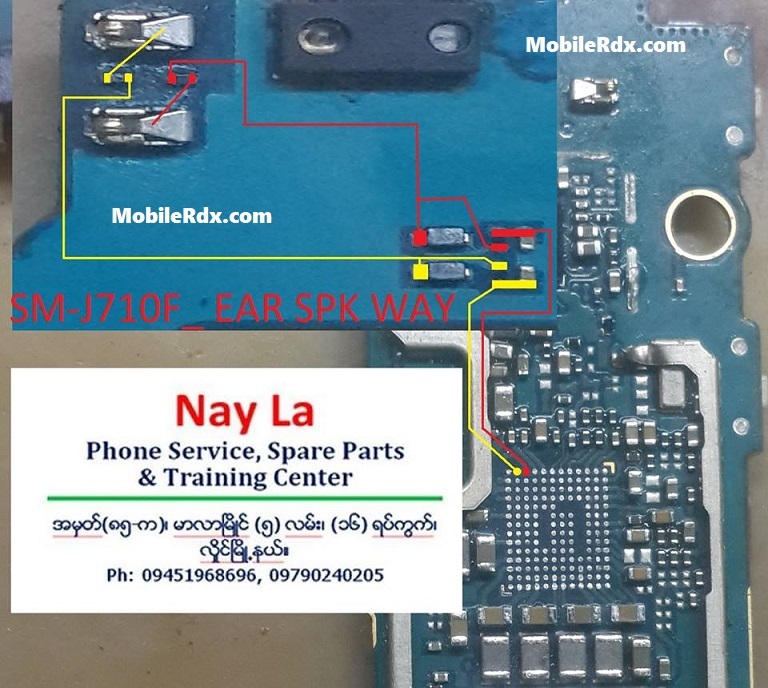 This solution below shows the connection line paths of the Samsung Galaxy J7 J710F hands-free speaker and earpiece for easy troubleshooting and repair. But to fix a speaker failure, you may first check the speaker using a multimeter to easily confirm if it’s still working or already damaged. If the speaker is okay, clean the speaker terminal contact pads and locate the components shown in the solution below, then do a check and replacement procedure. If the speaker is working fine and the terminal contact pads seem okay but still there is no sounds output over it. 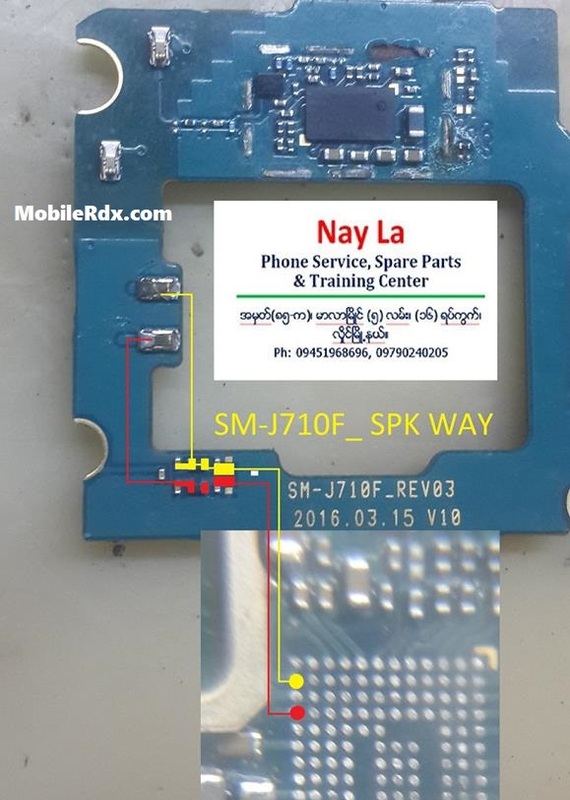 You may then proceed to check certain components on the Samsung Galaxy J7 J710F PCB board that where the speaker is being connected. check ringers point after opening the mobile.if ringers point is not working and its value is not right then replace it with new ringer.problem will be solved.if the problem will not be solved then check ringers point on board.If their value is not right then check parts and components with the there path from above diagram.If some path is missing then apply jumper.If any part and components are not working replace it with a new one. Check the speaker assembly for possible damaged and or misaligned. Use a multimeter to check it (How to use Multimeter), replace if already busted. If the speaker is okay, check and clean the speaker terminal contact pads. Corrosion might weaken and loosen the connection. Trace the speaker+ and speaker- connection to each certain components where it is being connected. Check and replace the filter capacitor and resistor components. Check and ensure first that speaker is working or already tried installing a replacement spare on. If the speakers were okay, you may then proceed to check those components showed on the solution above.